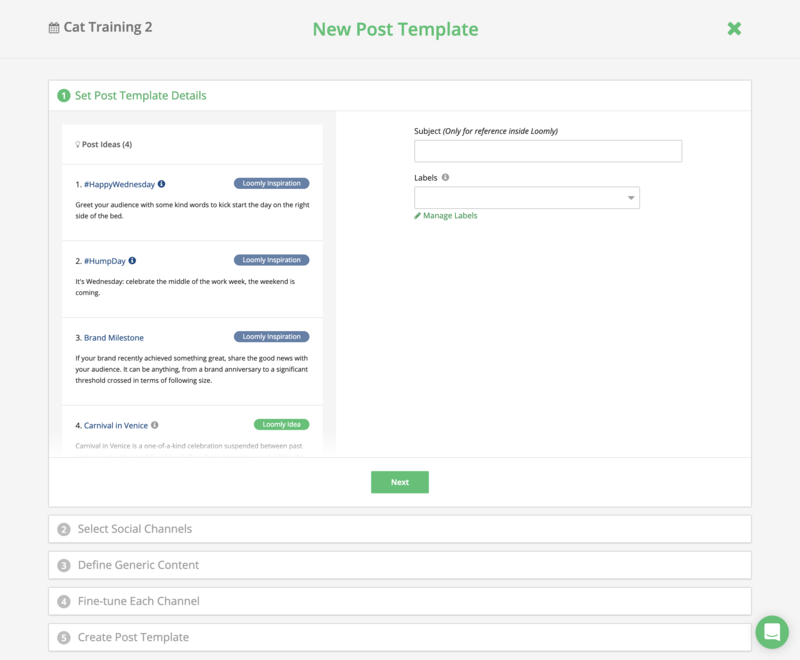 Post Templates: what if you could create posts with no dates, and reuse them whenever you need them? Well, now you can! This is great when you have an idea for a post but you don’t know yet when to publish it. This is also quite handy when you need a boilerplate for recurring posts that you want to publish over and over again with slight updates. Notes: another new format available in your Library are Notes, which allow you to save text and links in your Library just like you would upload photos and videos to use later. This is ideal when you come across a website you find useful or when someone in your team mentions an idea during a meeting. Labels: just like you can add labels to your posts, you can now add labels to anything in your Library. And, of course, when you create a post from one or multiple items in your Library, Labels from that item(s) is/are automatically applied to your new post. You can easily bulk edit labels if you need to update multiple Library items at the same time. Filters: you can filter your Library items by type, in case you only want to see photos, videos, notes or post templates. Cherry on the cake, you can now filter your Library items based on whether they have already been used in a post or not, which proves very useful when you want to make sure that you have never used an asset before. Descriptions: last but not least, you can now add descriptions to all your Library items, making it easier to organize your assets. When you add a description to a note and create a post from that note, the description is automatically used as the copy of the post (which you can edit as necessary). If you create a post from multiple notes, descriptions will be concatenated to form the copy of the post. Log in and take your Library Advanced Features for spin! Once again, thank you so much for your flawless support and your outstanding feedback that allow us to keep pushing the envelop and build the best possible version of Loomly for you: you rock! Loomly is a social media CMS that allows you to build a powerful editorial strategy: start your 15-day free trial now.